Dead battery? Rexx Battery offers a full line of Noco Genius multi-purpose chargers. These feature-rich chargers offer the ability to charge standard flooded batteries, AGM dry-cell batteries and even lithium-ion starting batteries. Regardless if you need to maintain a small 6V motorcycle battery, top off your 12V car battery or quickly charge your set of 12V deep cycle marine batteries we have a solution for you. 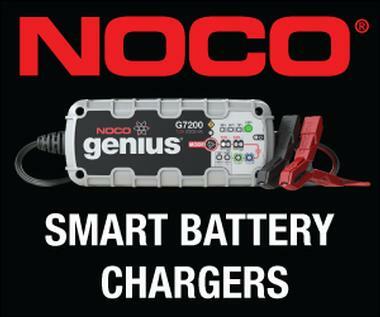 Charge, maintain, repair: Noco Genius chargers offer it all. With a huge number of accessories using their X-Connect system you are sure to find a convenient charging solution. Rexx Battery has a full line solution for your onboard charging equipment or marine charging needs. 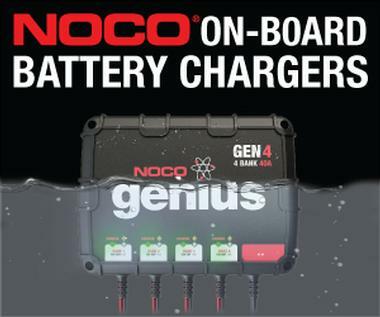 The Noco Gen series is a completely water-proof, shock resistant charger with options for one to four banks of batteries. This smart charger will both fully charge and then maintain your batteries. Each battery bank is totally independent guarenteeing each battery in your equipment is getting a full charge each and every time. Regardless if you need on-board charging for your boat, RV, pallet jack or lift these chargers will fit the bill. Has your old golf car charger failed? Need a new charger for you pallet jack? The Noco Industrial line has you covered. These versatile chargers come in 24V, 36V, and 48V highly customizable packages. 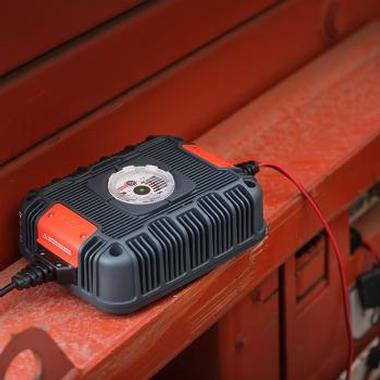 With a wide variety of plug options these can be made to work with any flooded, AGM or even lithium-ion battery powered equipment regardless if you need to mount them on board or use it as an external plug-in charger.